The history of the development of Christianity as a religion is filled with heroes and villains. The creation of a political state out of Christianity with assumed governance over kings and kingdoms was one of many departures from the divine direction afforded by the New Testament (NT) epistles. Reformation did not come easy nor did it return noticeably to the simplicity of the examples of the fellowship of the first saints. That thing which was once called “The Way” was yet to be the aim of zealous and courageous defenders of the biblical record during the reformation. Not until the early 1800’s were there movements to demolish the boundaries of sectarianism that kept well define doctrinal demarcations among denominations from participating in communal life under Christ; the head of the assembly of God. These efforts by such men as Alexander Campbell enlightened many to the walls that prevented unity in Christ. His work and the work of others encouraged many to study deeply the writings of the Bible in order to derive a solid, honest, and reasonable understanding of what was important and what had been unnecessarily added by the traditions of men. Among the many things that appeared to be common denominators among the traditions of the Apostles were adult baptism, weekly gatherings of the saints – at a minimum, fellowship meals, the remembrance of the Lord’s death in the communion and the public reading of the scriptures. Many more things were found to have been adopted which have no support from the biblical writings comprising the NT. 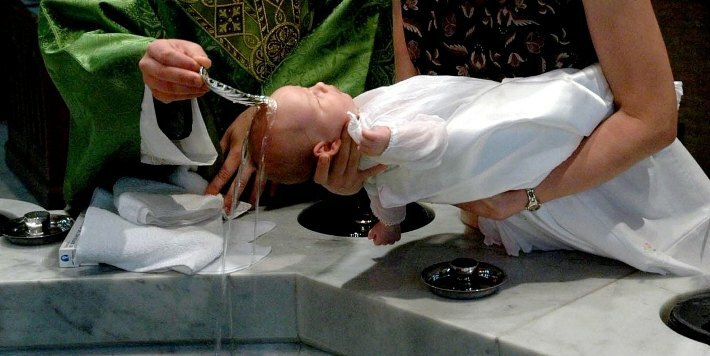 The use of holy water, infant baptism, the use of sprinkling of water as a mode of baptism, building meeting halls, a clergy-laity system of membership, the use of incense, or candles, bells in bell towers, and many other traditional religious symbols could be listed to the things that did not have direct biblical approval and warranted reconsideration in the forward-thinking movement. In order to imitate the simplicity of the apostolic directives, which was the goal of this restoration effort, everything is taken for granted among denominational doctrines needed to be questioned. The idea was to return to first century Christianity, not reform the current state of affairs. Is this what God had in mind for the New Covenant? The argumentation of just what was really necessary to attain this great objective settled on methods that could fairly characterize the teachings of the Bible as either a command or inferences that appeared to be necessary to meet this goal of “original Christianity” or examples that could or maybe should be followed. These ways of determining the meaning of the apostles and prophets seemed to be an objective method. It was considered to be important in restoring that thing which God had in mind when he established Faith as the purpose for ending Judaism and installing a new and everlasting kingdom. In the course of time, the well-intentioned effort to return to the Bible, to speak only when the Bible spoke and to be silent when the Bible had no opinion on a matter, did make progress in the direction it had intended. But, as is often the case with people, some issues seemed arbitrary while others seemed mandatory. Opinions on matters such as the use of musical instruments in a worship service, the cessation of miracles and the role of angels in this new age held much debate among those of the restoration effort. Extra-biblical proofs were offered for any particular claim. The reformers were quoted. The historian Josephus, a man of the first century, gave perspective to the times of Christ and the wars of the Jews which Christ predicted would culminate in the end of the Jewish age. Some things that were to end in history simply had not ended for the church or had been revived from Judaism, and then “Christianized”. These things did not belong to ancient Christianity. They should not belong to modern Christianity. Many arguments over what to do with necessary inferences emerged out of opinion. Just how necessary were some things and whether things were really being inferred at all were matters of opinion. 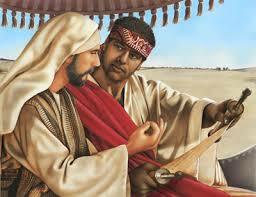 For instance, Paul met with the disciples on the first day of the week, when they met to break bread. (See Acts 20:7). Did he meet with them to worship? Did he meet with them to warn them of his soon imprisonment? 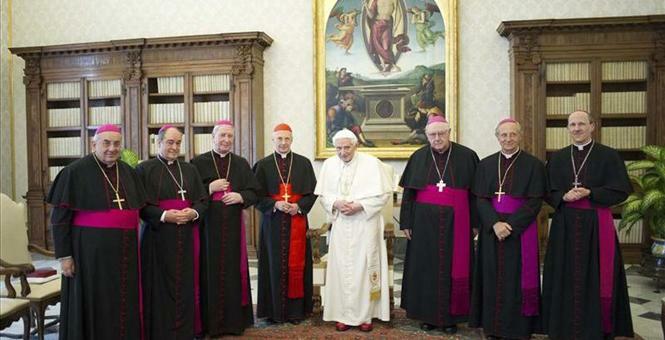 Had they come together for the love feasts of the saints? Was this a communion they were having in remembrance of the Lord’s death? Did this passage prove the tradition of the church was to have someone preach until midnight on Sunday? What was exampled in this passage and was it necessary? Were only some things inferred? Was there to be an entire meal served or just the wine and the bread? These are valid questions if the goal was to replicate NT Christianity. Paul spoke to them until midnight. What started out as an honest effort to throw down the divisions of Christianity was once again dividing Christianity. The movement split. From it the Churches of Christ arose; so did the Disciples of Christ, and the non-instrumental churches. Even the Mormon Church was a product of a disagreement on premillennialism. Over the next 150 years, this restoration movement settled for the convenience of building assembly halls and adopted Sunday school classes. Pews, songbooks, communion cups, fellowship halls for meals, janitors, secretaries, posted preachers and many other denominational traditions were accepted as expedient to the work of “doing church right.” Expediency has become a reason for many church practices. Expediency authorizes buying a building for weekly worship service. 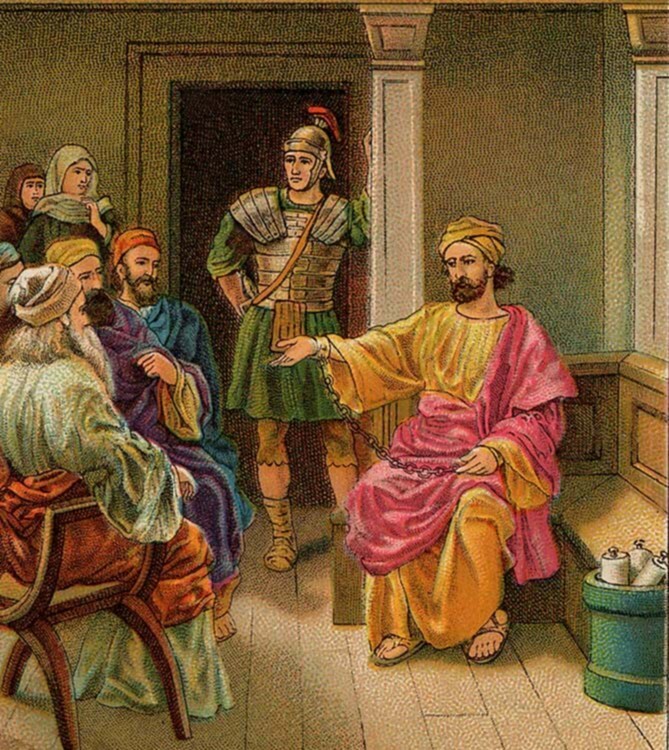 Expediency splits up family members for Bible class. Expediency supports fixed baptisteries in the “sanctuary.” These things do facilitate the convenience of gathering members of each doctrinal persuasion; to do the work of ministry. The Ethiopian is saved without a New Testament! Unfortunately, what started as a seemingly simple but honest attempt at eliminating the powerful franchise of denominationalism has only added to the confusion of the Christian world. Maybe what has been accepted as a successful restoration of God’s intentions is indeed a simpler, less artificial way of meeting the goal of teaching others about the “right way to serve God.” But among the restoration churches is the underlying bias that each is right. To those in membership, it is self-evident. To this day the Mormon’s ask as they go door knocking, “Have you ever wondered why there are so many churches?” At some point, the Mormons stopped relying on the Bible, which seemed only to separate people, and they invoked God Almighty to visit Joseph Smith and so restore the true “church of Christ – of Latter Day Saints.” This convenience settled the matter for their followers until instrumental music, polygamy, and the multiplicity of Gods was revealed through their prophets. And for many of the other splinter groups of this early American restoration movement, their reliance on the scriptures has designed a ritual of worship service that has become foundational to denominating themselves as the “right church” as well. The commands, examples, and necessary inferences have derived a code of law that must be duplicated wherever these new churches are started. Proselytes are often people from other denominations and are shown the error of their ways and the infallible correctness of this new way of distilling biblical teachings. 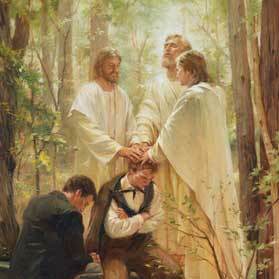 Joseph Smith had God the Father and Jesus Christ visit him to “restore” the church of Christ in the woods of North America (?). A quick study of the same scriptures used to dogmatically prove the correctness of these churches will discover that the idea of a worship service is absent from the writings apostolic authors. Communion was the climax of a supper shared when the fellowship of saints gathered in mutual friendship. The directives of God have as much to say about living lives in quietness and minding your own affairs as it does about singing songs of praise as a collective fellowship when assembled or taking the Lord’s Supper. In fact, more is said about godly family living than paying an evangelist to preach to the whole assembly on any given day of the week. What are we missing in Christianity? Did Christ really want to install a new religion? Did the Apostles give laws that if not followed will end human life in an eternal lake of fire? Did Jesus bring new ways with which we can sin against him? What really is the end game of this New Testament which was at one time meant to free humanity from sin and shame and guilt? If God is for us, why are we getting in the way of that kind of love? If people are to be the imitation of Christ there must be higher objectives than how we sing together or whether we meet in a purchased building or by the riverside or how many times we attend church worship service each week. Something really big is missing in our perception of necessary things. I suppose it feels safe not to question what we have grown to love. But then, this explains why the Jews felt obligated to murder Christ; he made them feel unsafe, unsure and lost. Awesome article! Really makes one think!! Thanks for your comment… it will appear at the bottom of the post. The bible seems to be clear on salvation but man has made it much more convoluted that it should be. Being associated with a certain denomination or church group does not qualify you. Many churches create an illusion that you must be a part of their organization to be saved. When will Christians simplify and join together on at least the ground that is common? Great article! Good thoughts to think on! I agree of course. But it is very difficult for most of us to see through the claims, the hype, the “provisional” qualifications, and then their is our own guilt and doubt which is far more than enough to have to over come in order to believe God cares that much to die for us.